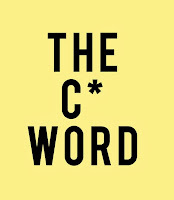 Donald Clark Plan B: MOOCs: the C***** word is the problem! The first wave of MOOCs suffer from replicating the standard 6/8/10 week semester college ‘Course’. That’s their problem. They’re too long, sometimes too ‘video’ heavy’ and don’t actually match the needs of the real audience – lifelong learners. The data is clear – MOOCs are for all. This is to be celebrated, not disparaged. Once you flip the benchmark and see MOOCs as evolving towards widespread use by everyone from school students, parents, vocational learners, students, adults, professionals, the retired, then the coin drops. This is all about flipping the model. My talk at Online Educa in Berlin argued that MOOCs are not evolutionary but revolutionary and that now the digital genie is out of the academic bottle, it will spread to other areas, where it will be far more effective and beneficial. MOOCs are NOT about HE, they’re much more important than that. Once you see MOOCs as “a supply response to a demand problem” you see that the demand is not actually HE, that’s a tiny portion of the demand. Real demand lies in lifelong learners of all ages, backgrounds and locations. It’s an anytime, anywhere, anybody medium. Don’t get trapped into thinking that ‘course completion’ is the goal – it’s not. Don’t get trapped into thinking that ‘certification’ is the goal – it is not. Don’t get trapped into thinking this is about long, and often long-winded, HE courses – it is not. It’s about demand, namely learners, and their choices. If you walk around with a hammer, everything starts to look like a nail, said Abraham Maslow, almost the only interesting thing he said. But this habit has plagued the MOOC debate. It’s not about courses stupid, it’s content. A course demands completion, content, even structured content, does not. Take your time, dabble if you want, go as far as you want. The course is an institutional artefact. Keep them in institutions but don't foist them and their constructs on the web or the rest of us. If you ask the wrong questions you get the wrong answers. Time and time again I hear MOOC myth questions. The first set make the age-old category mistake of equating MOOCs with University courses. MOOCs are much bigger than this and are NOT to be equated with college ‘drop-out’ or the 18 year old undergraduate expectations around completion and certification. Neither are they weak pedagogically – in fact many of the more innovative things that are happening in online learning are in the MOOCosphere, in learning analytics, use of video and online assessment. Neither are they part of the LMS world, as their coding is much more agile, flexible and scalable. Finally, they can and will make money. Even if they don’t the benchmark is the ridiculously expensive college degree and that ain’t hard to beat. As George Siemens says, it is “a supply response to a demand problem”. Flips drop-out to drop-in. Where the inappropriate concept of high-school and University drop-out, meaning failure FLIPS TO another concept - drop-ins, where it’s OK to leave, and stopping is rational. Drop out, when applied to MOOCs is simply a category mistake. Completion is not always desirable. It is not the goal. Flips horizontal to vertical, from the 18 year old undergraduate model and Higher Ed MOOCs TO the lifelong learner, corporate MOOCs, not-for-profit MOOCs, charity MOOCs, vocational VOOCs and high school HOOCs. Flips lectures to short video. Where the 1 hour lecture which has no basis in the psychology of learning and exists simply because the Babylonians had a 60 based number system, delivered at a fixed time, fixed location, once only FLIPS TO short videos where ‘less is more’, seen anytime, anywhere, available to be viewed many times. Flips off- to online assessment. Where offline, compulsory certification, teaching to the test once a year using pen & paper and no innovation FLIPS TO online, where there’s a minority interest in certification, learning for learning,’s sake, anytime and there’s lots of innovation, such as peer assessment, ProctorU, automated essay marking and so on. Flips bad data to big data,. Where bums on seats, contact time, course completion, summative assessment and happy sheets FLIP TO performance, competences, feedback, useful and personal data that guides learners and improves design. Flips grants to monetization. Where expensive, government funded institutions, load up on loan ridden students plunging them into deep debt FLIPS TO cheap learning from many sources, such as not-for–profits, for profits, payment for certification, sponsorship, more students, and huge organisational and government savings. I simply ask you to flip your mind and see MOOCs not as courses but free content. In this respect, it’s more like Wikipedia and YouTube, both massive learning tools, used by hundreds of millions of learners. We don’t talk about drop-out in Wikipedia or YouTube. What they talk about are drop-ins – the huge amount of real use. Interesting post, and I'm pretty agree. The MOOCs are a parallel solution to education, the standard course and MOOC can exist at a same time, one don't replace other one. Moreover, I hope very soon learners can manage the mooc, eg. learners can getting together to start the course when they want and with whom they want, with permanents community voluntaries as facilitators (that sound like wikipedia), modify the course structure or at least propouse it to facilitators, so the course can have varies instructional designs, etc. Well said! 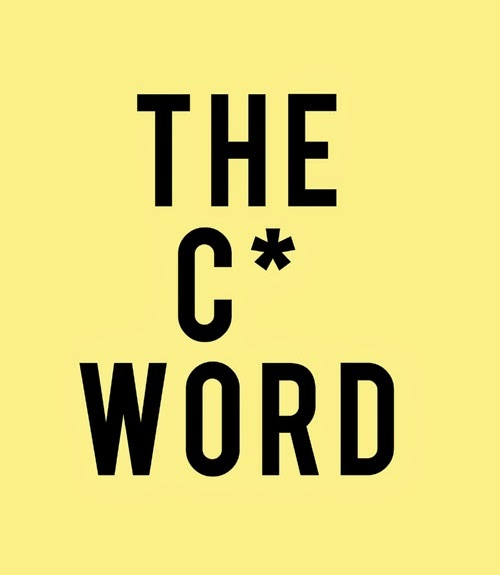 It's unfortunate that the C word got into MOOC. Taking my first MOOC in 2011 it struck me that a MOOC was not a 'course' all. It's Something Else - time to cast aside traditional course baggage to find out exactly what MOOCs are for. The rise of the xMOOC has been phenomenal although the reasons for this may not be to the liking of their sponsors. Maybe the benefits for the overwhelming majority who join MOOCs including the 'lurkers', 'drop-outs' and 'toe-dippers' are beginning to be recognised along with the potential of MOOCs to be designed for the diversity that massive brings ('hybrid' MOOCs, parallel paths etc) - I live in hope! Wrt Myth 8. Why worry about monetization at all? One can make and host an on-line course for very little money using Google products such as Sites and Youtube, and excellent screen-casting software is cheap. A lot of the bells and whistles of Coursera and the like is is focussed mostly on certification. Good point.Increasingly MOOCs are ensembles of free products such as YouTube, Survey tools and other media sharing tools, dropbox, Openbadges. I agree with Raidell Martínez that standard collegiate courses and MOOCs can coexist within the education realm at the same time. In the future, I would like to see MOOCs integrate a blended format, like some distance education programs, if applicable. I believe that a blended format would alleviate some of the issues revolving around assessment and certification. A blended MOOC may also provide more support in the form of professors and peers. Great article! Nicely broken down. At the recent EMOOCs conference there was a consensus on many of these points. On the subject of completion, one presenter compared a MOOC to a train journey: just because you're on the train doesn't mean you only interest is the final stop. It isn't unique to MOOCs though. I'd regularly hear comments from students in FE/HE about parts of the course that they weren't interested in, and would probably skip if there weren't any consequences. MOOCs are still mostly locked in a course structure, but the investment from institutions is creating is creating incredible repositories of content. I'd like to see more innovation in access.